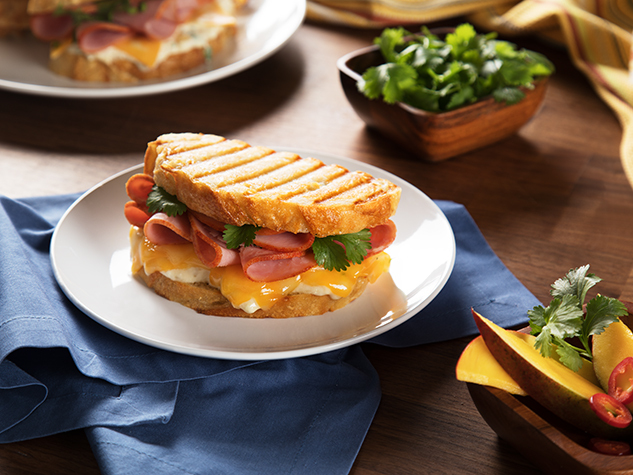 Cut each Eckrich® Smoked Sausage into three even pieces; cut each piece lengthwise. Set aside. Place 6 waffles on microwave safe plate; microwave on HIGH power for 10 seconds. Repeat with remaining waffles. 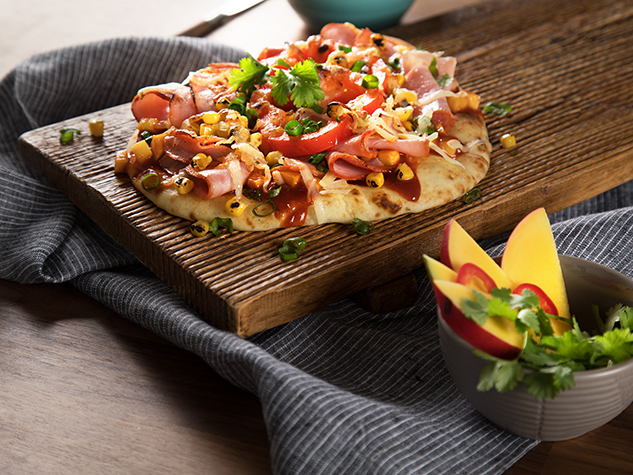 Form one waffle into a “taco” by bringing edges almost together and inserting two wooden picks through through top edge to hold secure. Place in 9x13-inch baking pan. Repeat with remaining waffles. 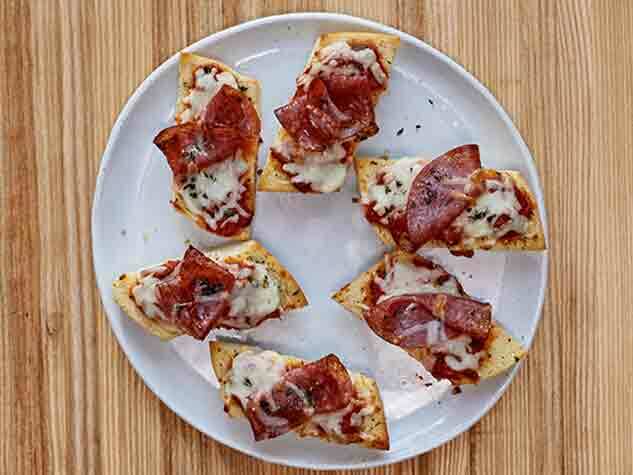 Bake 5 to 7 minutes or until crisp and light golden brown. Remove picks. Meanwhile, place sausage in large skillet over medium heat, cut sides down. Cook 3 to 5 minutes or until lightly browned, turning once. Scramble eggs in large skillet to desired doneness. 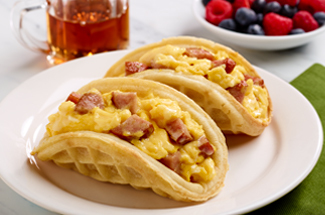 Fill warm waffles evenly with eggs and sausage; serve with syrup. Tip: Substitute 1-13-oz. 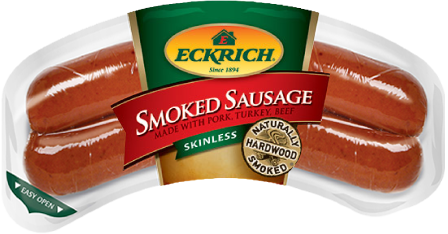 Package of Eckrich Turkey Skinless Smoked Sausage for the Smoked Sausage and enjoy another great flavor!